(W/A/CA) Shiramine Sorey is a human boy who has lived all his life in The Divine Forest, side-by-side with heavenly, but secretive creatures known as Seraphim, which includes his best friend Mikleo. While investigating the old ruins near their home for Seraphim lore, they meet a young woman named Alisha, a knight seeking answers to the calamities drawing their world to ruin. Upon learning that the Seraphim may have a connection to the destruction, Sorey decides it's time to leave The Divine Forest. 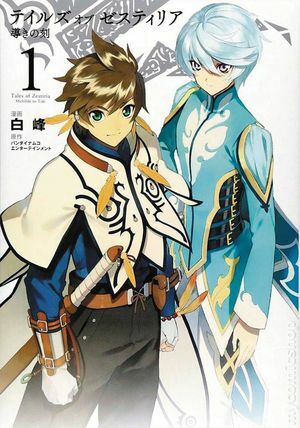 With Mikleo and Alisha at his side, Sorey will seek out the truth behind the catastrophes - and discover his own hidden powers in the process. Cover price $12.99.